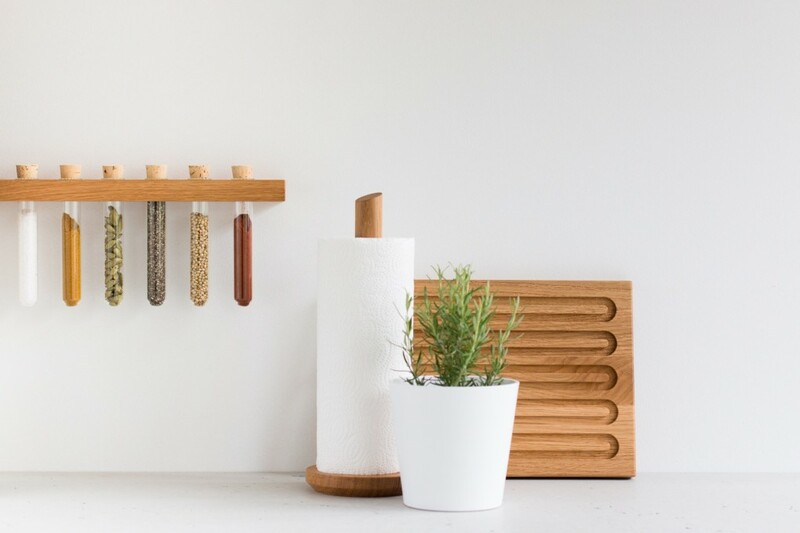 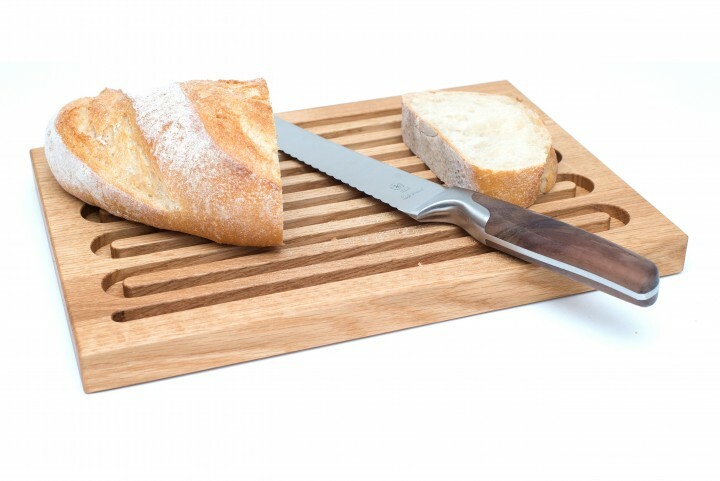 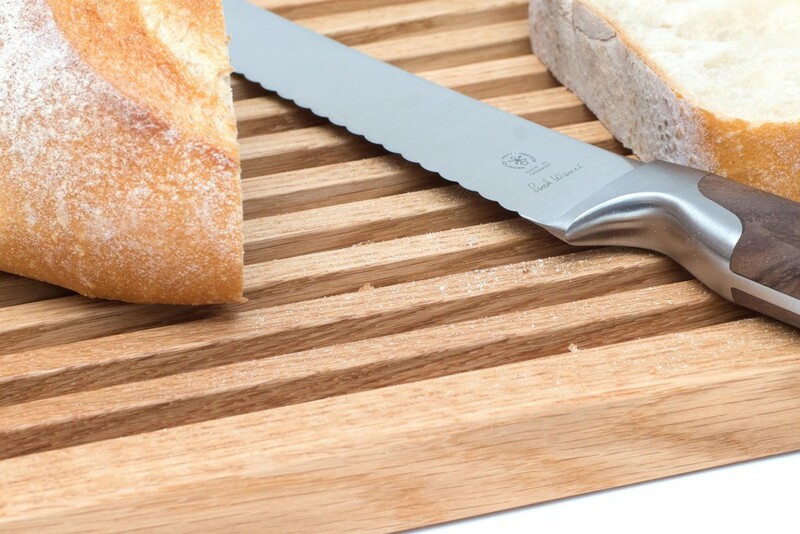 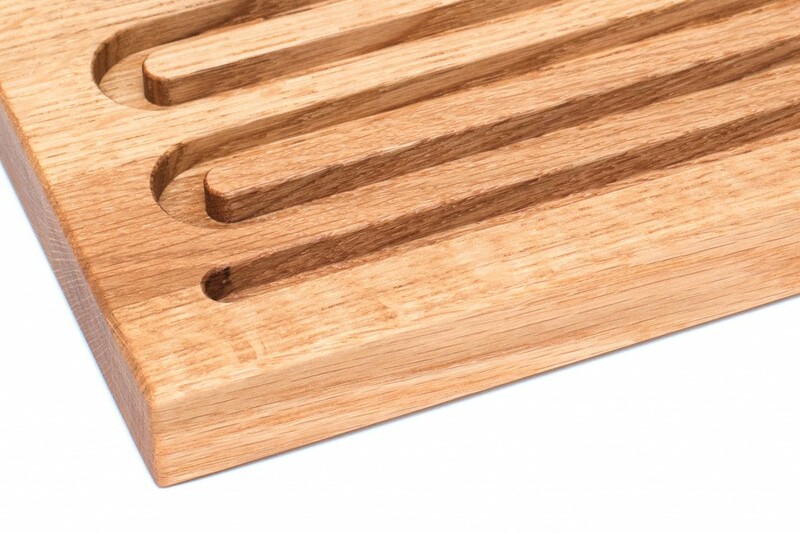 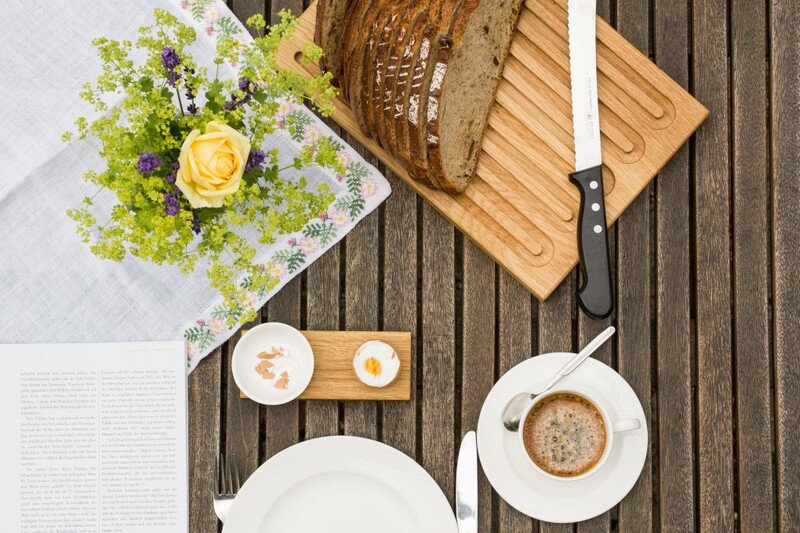 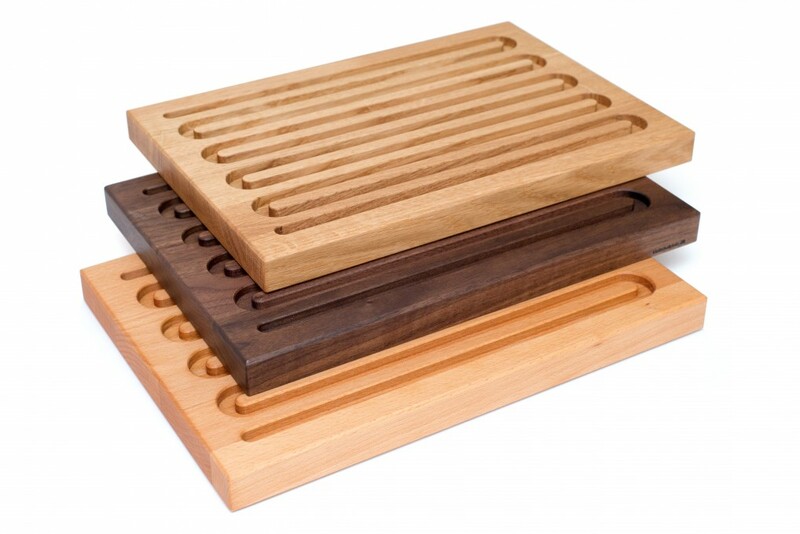 The wooden bread board made from solid oak is characterised by grooves snaking through the board – this design makes for a clean way of slicing bread, as the crumbs fall through the slots and are easily dumped. 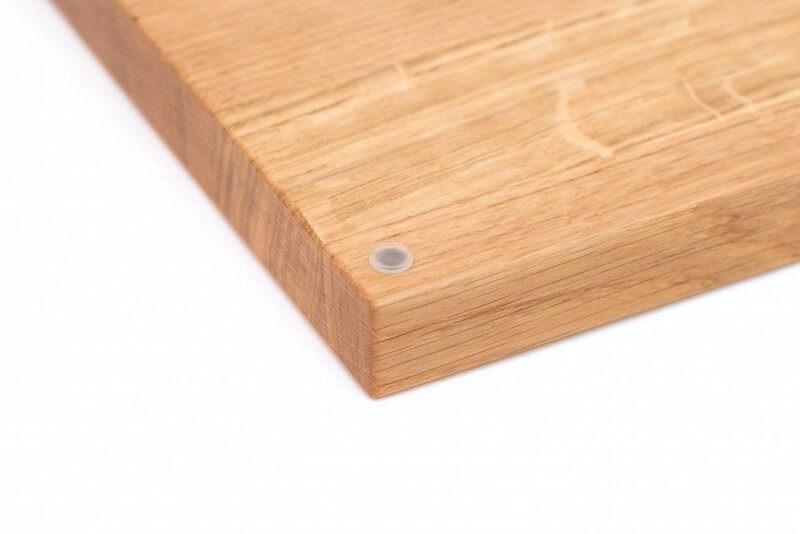 The board is fitted with rubber feet to keep it from moving around and to protect your work surface. 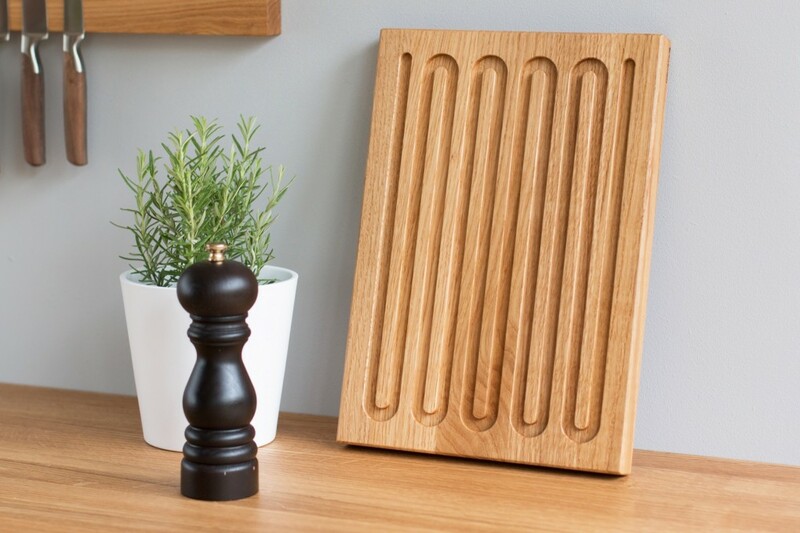 You have a choice of a board that was hand rubbed with natural and food safe finish or one without! 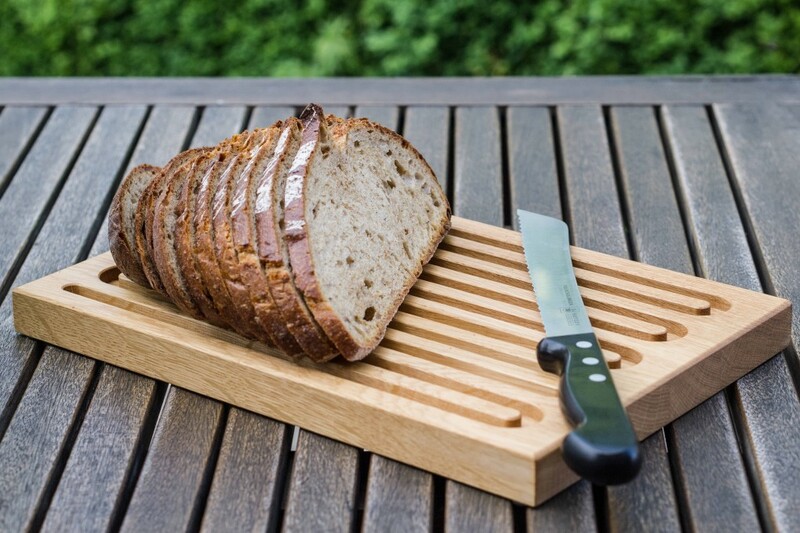 Habe das Brotschneidebrett bestellt. 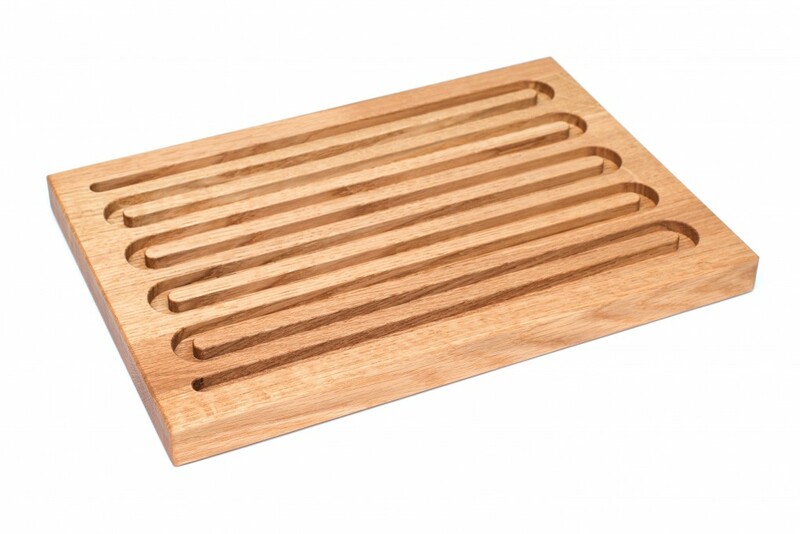 Bei der Bestellung war ein Gummifuß nicht dabei - wurde aber schnell und problemlos nachgesendet. 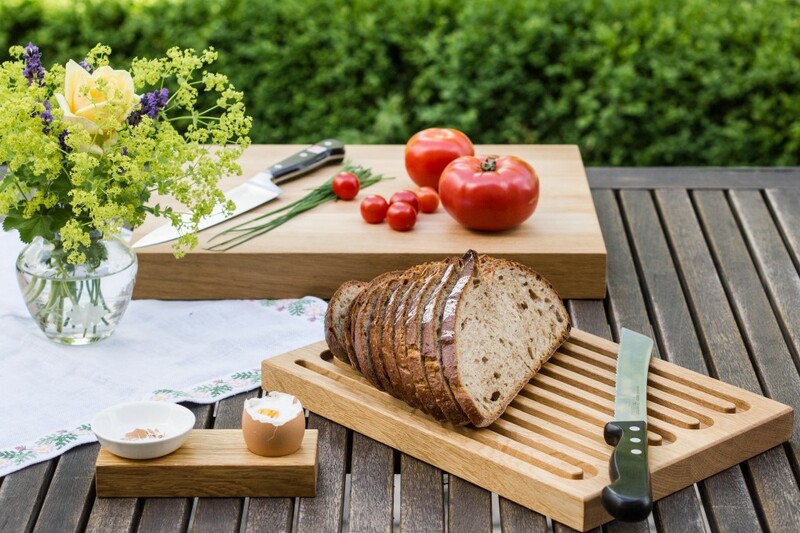 Qualität des Bretts ist sehr gut.